Today was tough on the three of us, though. We met in Portland and did almost the same route as last week – including a full trip around Macworth Island and a detour through Payson Park on the return, trying to stretch the distance to 12 miles. Margaret was running with wings on her feet – she was super fast and led way in front- her head just a dot for me to follow ahead in the distance. Janet was full of determination and stayed with Margaret for a long time before switching to a different pacing strategy. I was the caboose. And, even though I felt good on this route last weekend, bopping along at a good pace, I was just NOT feeling it today. I sort of had heartburn for the first 8.5 miles and generally felt in a bad mood. As we looped back to the starting point, it was obvious that the route was only going to be 11 miles, not the 12 we had planned. Now, the three of us are all the “get it done” type – no backing off the plan for us. But, today, none of us felt like finding that last mile. Nope. At 11, we quit and sprawled out on the grass by the cove, complaining with relief that the run was done! Margaret was heading back to PA to manage a move. 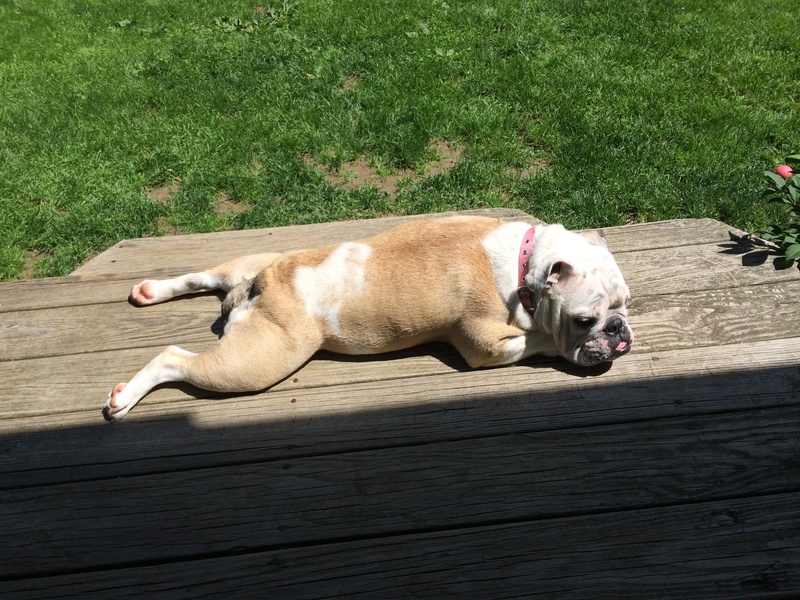 She’s essentially been in housing limbo all summer. Her family is waiting to move into a new house next week, but had to move out of the former house in June, so the last couple of months have been a bit nutty. She was just anxious to get back to PA to get that move going and get herself and her family settled into the new house before school starts, so I think that’s how she ran so fast. Since my move is over, I’m just tired. 🙂 And I didn’t feel like running fast at all. Also, I lost the hard drive on my computer last week. Since I lost absolutely everything on the computer, that means I also lost my running log and my training plan. This means I’m following Janet’s crazy customized training plan she got from Runners World. Okay, okay. My blog is no longer about preparing for my 1st marathon. Now it’s just a blog, somewhat related to the experience of running – the ups, downs, starts and…stops. 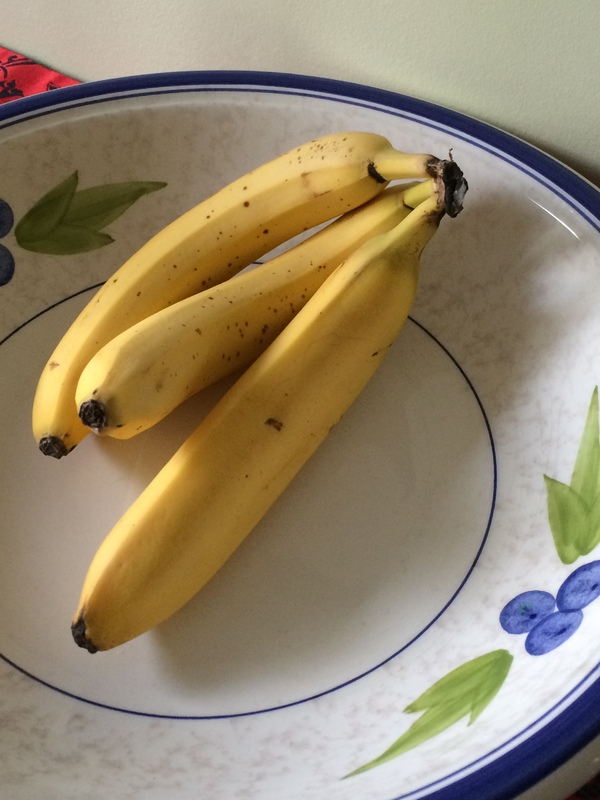 You may recall that my first blog entry last summer was pretty lame. I went on and on about the marathon registration as a surrender to the peer pressure of my very fit and persuasive friends, Janet and Margaret. I said that I had never even really enjoyed running, and how I just did it to stay in shape as time allowed, that I had no shame in being slow, and that I had no burning desire to get faster. At the time, I just wanted to finish the marathon. As I was packing in the mileage and suffering the heat of China, the long weekend runs, the ice baths, the sore feet and ankles, the hunger, the fatigue, I was also amazing myself with what my body could do. 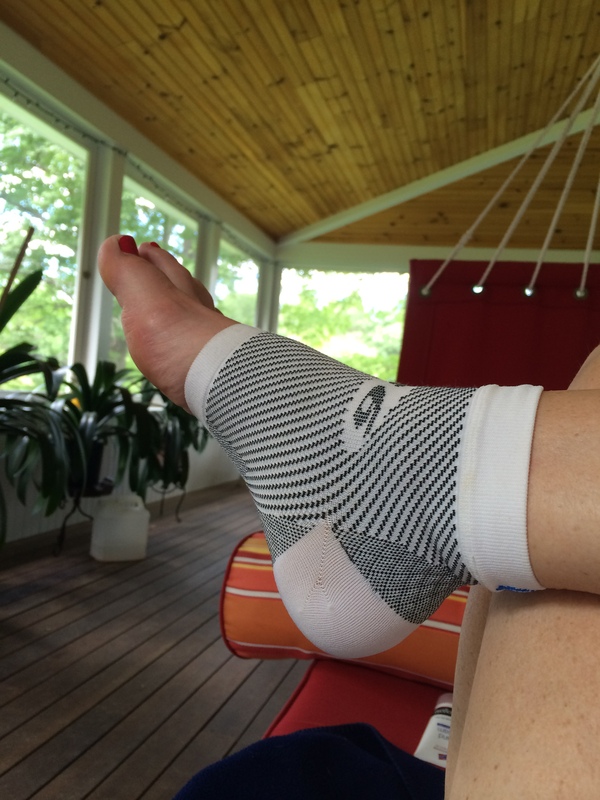 When the marathon was over, I kept running – lightly. At first I said it was to keep from getting stiff. Then I said it was to keep the fitness I had gained. As it turns out, I LIKE RUNNING. After all that work, I’m fit enough to put on my kicks and pound out a 5-8 miler without feeling wrecked for the rest of the day. I like the fresh air. I like the exercise. I like the alone time and I like the company of my running friends when I can join them. I like the goals I put in place each time I set out. I embraced this revelation and signed up for a February 10 mile race with Janet. And now… I am sidelined completely. Keep in mind, I made it through 4 months of training without any major injury. 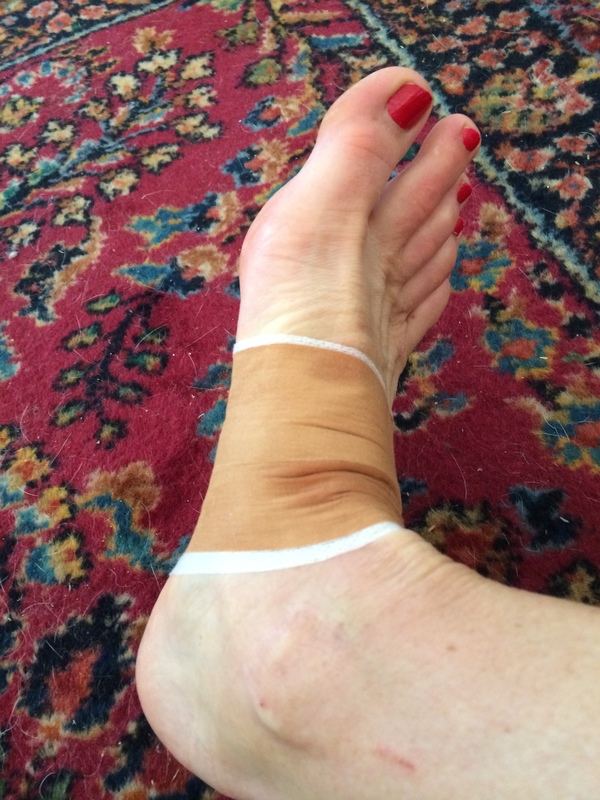 Sure, I had tendonitis, my feet hurt, I endured some seriously nasty physical therapy. But I walked away from the finish line right into an ice bath and then right back to my regular life. No injuries. Now… I have a very painful condition common to runners. 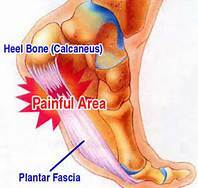 (Insert sound of thunder here) – PLANTAR FASCIITIS – (Close with thunder claps.) 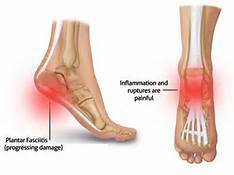 My right heel hurt so much that it kept me up at night, I couldn’t walk, sit, or stand comfortably. I was downing Advil tabs like they were Sweet Tarts. 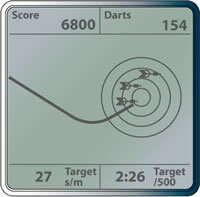 Fortunately, the machine has a game mode where every pull of the “oar” throws an electronic dart at target on the screen in front me… if I have good form, I get a bulls-eye and 50 points. So, at least I have something to concentrate on as I row to nowhere in the basement of the gym. But it’s not outside, It’s not with my friends. And it’s not… running. I am in San Diego, CA for meetings. Right now, Maine, (where I live) is in the grips of an astonishing deep freeze, the Polar Vortex. We haven’t been able to get warm for weeks. I knew this trip was on the calendar and I was dreaming of putting on shorts, my shoes, and running in 70 degrees. I’m not at all complaining about being in California. Not at all. I am just sorry that I can’t even enjoy outdoor exercise that doesn’t require 35 layers of frostbite protection. 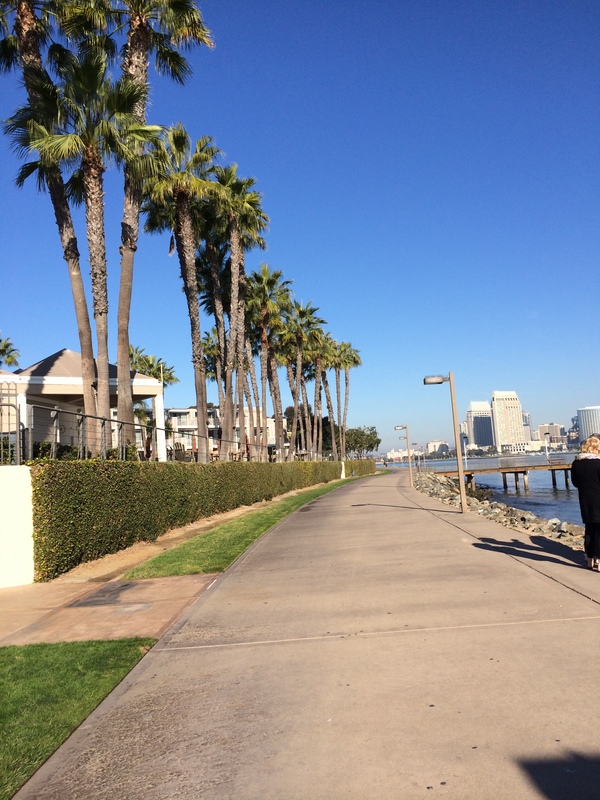 This is the bike path outside my hotel room – 65 degrees and calling for me. Now that I know I like this activity, I will be good about what it takes to get better. I’ll have to miss the 10 miler, and probably the 20 miler that Janet is determined to get me to do in May. But, I will get back out on the road at some point. In the meantime, I’ll focus on what’s allowed.